When it comes to braces, you can’t help but think about your appearance while wearing the orthodontic appliance in front of your friends or colleagues at work or school. Well, now you don’t have to worry. Here at Dr. Jacquie Smiles in NYC, we offer Invisalign! Invisalign patients in NYC, as well as Manhattan, Woodbury NY, Monroe NY, and Englewood Cliffs NJ, can enjoy the benefits of straightening their teeth with the most advanced clear aligner in the world and having the confidence to wear their orthodontic appliance in front of others at Dr. Jacquie Smiles. It’s just what the doctor ordered! So, why haven’t YOU had Invisalign yet? Backed by more than 20 years of research, Invisalign is the clear alternative to braces. In fact, more than 4 million patients have used this system for their orthodontic treatment. Dr. Jacqueline Fulop-Goodling is an Invisalign expert here at Dr. Jacquie Smiles, and offers a FREE CONSULTATION to go over your options. What do you have to lose? Also, it is covered by most insurance plans. Your plan, along with the treatment process, is discussed during the initial consultation. 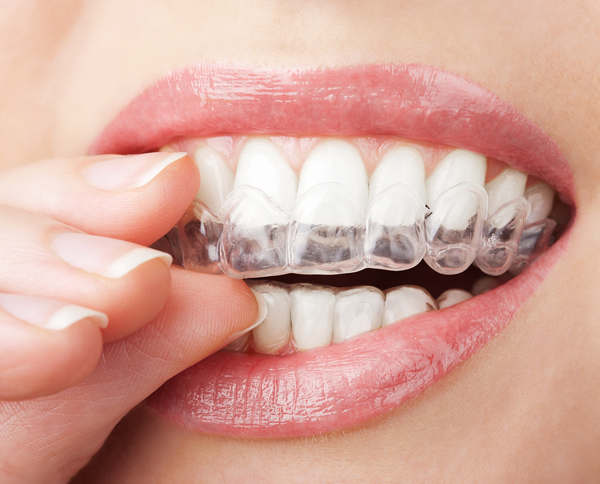 Furthermore, the clear aligner system requires NO wires or brackets, giving patients more comfort. Here at Dr. Jacquie Smiles, Dr. Jacquie uses a digital scanner to create 3D images of your teeth. With this technology, she can map out a precise treatment plan with a set of aligners that are specifically meant for the patient. Another advantage is the fact that it can be removed for eating and to brush your teeth. And the best part, the aligners are virtually INVISIBLE! So why not? With Invisalign comes responsibility. To ensure the best orthodontic treatment possible in NYC, the patient MUST: wear the aligners 20-22 hours per day, a new set of aligners must be switch every week (as you wear each set of aligners, your teeth will gently and gradually shift into place), and lastly, the aligners must be properly cleaned every day. Not performing these important tasks will result in treatment being unsuccessful and/or longer. Invisalign is an effective and appropriate option for many patients in NYC who are looking to improve their appearance and their overall oral health. To find out if treatment with Invisalign clear aligners is appropriate for you, contact us today. Dr. Jacquie and the team at Dr. Jacquie Smiles are experts in Invisalign. If you have any questions pertaining to braces, clear braces, Invisalign, or Invisalign Teen in NYC, Manhattan, Woodbury, NY, Monroe, NY, Englewood Cliffs, NJ, or would like to schedule a complimentary consultation with Dr. Jacquie, contact Dr. Jacquie Smiles at: 646-781-8153.